WOW! was honored to have guest judge, literary agent Abby Saul choose the winter season’s top winners. Thank you, Abby, for sharing your time and efforts to make these contestants’ dreams come true! 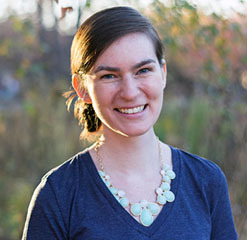 Check out Abby’s manuscript wish list: http://www.manuscriptwishlist.com/mswl-post/abby-saul/#. 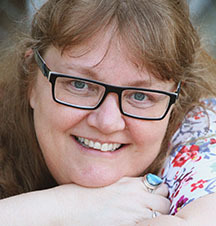 Emmanuelle has written several novellas, and short fiction works, including her Cautionary Tales, inspired by Slavonic folklore, researched during her years living in former Soviet states. Her time in Central Asia and Eastern Europe, as well as in West Africa, led to travel themed pieces (including features in The Times, columns in various monthly travel magazines, and work for the Dorling Kindersley Eyewitness series). She currently lives with her husband (maker of fruit cake) and haggis-pudding terrier (connoisseur of squeaky toys and bacon treats), in South America. Find her on Facebook and Goodreads and at www.emmanuelledemaupassant.com. We extract the past, view it under the lens, label, categorise. We drill, column by column, slice by slice, Åkerman and Blomgren, Jönsson, Hummel and myself. No wooden shacks or guttering stoves. No candlelight. The rustic, make-shift days of Shackleton and Amundsen are past, although we sleep under the same arc of the Transantarctic Mountains. Our Habi-sfär separates us from the razor-chill of thousands of miles of ice. We’ve reached 83 metres: half a million years deep, in the shadow of those crags charcoal-streaked, the sky lit by the rolling pulse of the southern borealis, rippling and breaking. You are beside me, face raised to the pale-green light. Katabatic winds sweep down, cold air in perpetual motion. Alive. They have a voice, like the sea birds and seals. The ice does too, cracking and moaning; creaking within its ancient shell, shifting to open new mouths. There are secrets in the ice. An archive of snowfall and thaw, volcanic ash, fragments of meteorites, bacteria and gases, bubbles of air breathed before man ever existed. There are subglacial lakes that never see the light. Returning to the vehicle, I took off my thermal hood, and twitched my nose, thick with mucus half-frozen. I turned off the engine. Through the dark, the silvered swirl pushed across the plateau, beautiful in its chaos and in its pattern. Another minute and the blizzard arrived. The auto-nav and infra-red sensors would get me back. I entered the ignition sequence but it remained dead. I cursed, tried again. I was less than a mile from base but it might as well have been a hundred. On the portable radio, there was only static. The wind, malign, rocked the cabin. And then I saw it. Outside. A pale shape in the darkness. No one was there. No one could be there. Only snow and wind. My lashes were frosted with ice. I took off my gloves and pushed the heels of my hands against them, looked again, out into the spiraling snow. Movement, bleached against snowfall, then a hand at the window. Not banging to be let in but soundless, fingers splayed. A hand ungloved, brittle-white, a hand wearing a thickly engraved ring. Like, the one I’d given you. With a rumble, the SnöTrax started up. Warm air fluttered through the vents. I pressed my face to the window, but you were gone. Rose-hip kisses. Lingonberries squashed between your teeth. This tundra, in its vast embrace, offers the oblivion we sought as lovers. Is that our secret, so long buried? Our desire to escape? What distance was there between us? Too much or not enough? Perhaps you no longer understand the language of distance. Only connection. I did not call for you, yet you have come. They returned to me your Sandqvist bag, from the back seat: the cufflinks your father gave you, your passport. Where were you going, without a word? You left, mid-chapter, and took all the words with you. I don’t want to remember. I’ve folded my grief away. Go back into the night, into the ice. Åkerman, Blomgren, Jönsson, Hummel: we work, and say nothing. Slice after slice, the hours pass in examination, cataloguing the passing of time. Where are you in time? Would you exist if I refused to look? We eat black bread and pickled herring, and I feel you behind me. I hear you breathing. Do you remember, we drove from Uppsala, through the forest, to Sigtuna? We walked, your arm around my waist, and mine about yours, hip to hip. We lay on the grass, our fingers entwined, heated by the sun. We brew coffee, eat porridge. Before we sleep, we bring out the cards and play Rödskägg. Blomgren asks if I’m feeling well, and I ask him the same. I smell salted liquorice, and the sweetness of your sweat. Your breath is inside me, always inside. If I lie upon the ice, will you lie with me? The snow will cover us. I want to let you go. I want to let go. I want to go. The sky is clear, reaching up and out. I curl my hand and light a match, standing in the dark with this tiny piece of fire, in this blazing night. Beside me, your face is raised to the shivering borealis, as I step, and step. 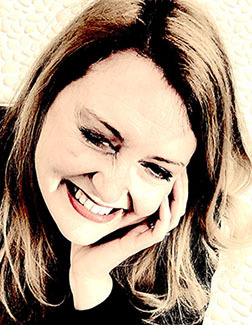 Monica Cox is an aspiring novelist who enjoys writing stories about and for women having found being one a fascinating, frustrating and fabulous experience. She is currently working on a historical fiction novel. Monica spent most of her career spinning stories of a different variety while working in public and media relations in Washington, D.C. and Atlanta. 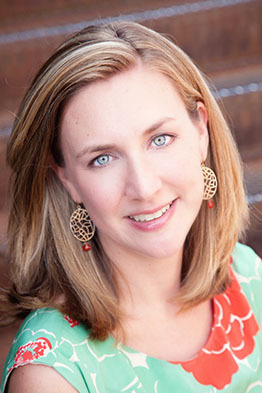 She also blogs at High Heels and High Chairs, which initially tracked her transition from the corporate world to at-home motherhood and later documented the joys and pitfalls of on-ramping and flexible work arrangements. She now blogs less often than she would like about her writer’s journey and balancing a creative life with the demands of parenthood. Monica is a graduate of the School of Media and Journalism at the University of North Carolina at Chapel Hill. She lives in North Carolina with her husband and their two sons whom they are raising to be unabashed Tar Heel fans and book lovers. You can learn more about Monica at monicacox.net. The fish died on a Tuesday. I was folding clothes in the laundry room, pretending to be busy, avoiding the kids. Jason had called earlier. He’d talked to a lawyer. He said I should, too. My mind whirled faster than the spin cycle. I tried to focus on her delicately long face, the smear of purple marker on her cheek, the strands of hair that had come loose from her ponytail. I followed Ella around the corner into the kitchen where Goldie’s bowl sat on the granite countertop next to the grocery list and Ella’s field trip permission slip I’d forgotten to put in her backpack that morning. Ella was right. The fish was dead. Jason had won the fish at a local carnival on one of our first dates. The games were rigged for failure, and I told him as much, but Jason was the beer pong champion of his fraternity and would not be intimidated. He lined up three ping pong balls on three milk bottles on the first try. Later, Jason balanced the goldfish prize floating in its plastic bag on his thigh as we rode the ferris wheel. We kissed at the top in that hungry way you do in early love. The wind lifted my hair and the stars spread out above us, winking. Mason wandered up behind Ella and I as we peered into the fish tank. “Fishy sweeping,” he said in a sweet baby voice I didn’t have the heart to correct in my youngest and my last. I knew I wasn’t doing him any favors, but those dimples? They were just like his father’s. “What’s wrong with Goldie?” Tucker asked. Ella looked at me. Tears stung my eyes. “Goldie is dead,” Ella said matter-of-factly. And just like that I became the child. We huddled in front of the fishbowl, my three children and I, watching Goldie’s fins hang limply away from his little fish body in the water. “We should have a funeral,” Ella decided. “When Daddy gets home,” Tucker agreed. “Okay.” I was glad someone had taken charge. I put a dish towel over the tank as if were a crime scene. I couldn’t stand Goldie’s glossy, lifeless fish eye looking at me like that anymore, like I was a failure, like I had let him down. I went back to the laundry room to finish folding the kids’ socks. When Jason came home, the whole family crowded around the toilet in the downstairs powder room—the three kids in front, Jason and I behind. Ella read Dr. Seuss’ “One Fish Two Fish” in a solemn and slow voice. When she was done, she hugged the book to her chest. “Maybe we should each say something we liked about Goldie?” Tucker suggested. Jason and I nodded when the children looked up for our approval. “I liked the way you blew bubbles out of your mouth like this: glup, glup, glup!” Mason. “I liked your gold color.” Tucker. “I liked that you were always there when I did my homework.” Ella. “I liked the look on your face when I won him,” Jason said quietly in my ear. “I liked that he knew us before,” I whispered. Jason lifted the fish bowl off the bathroom counter and carefully drained Goldie into the toilet. Ella flushed. I clutched Jason’s hand as we watched Goldie take two spins around the basin and then disappear out of sight. Stepping through that threshold, sliding glass doors closing behind her, Hilary was engulfed by that singular, timeless smell. Industrial cleaner, no doubt, in large part. Bodily ... stuff. Fluids. Waste. It seemed to Hilary that it was all waste at this point. Perspiration. Flakes of skin. Breath. She felt a profound, visceral urge to retreat. But rationality stepped in, and overruled. A uniformed woman offered a fleeting smile, then lowered her eyes. This building served many purposes aside from palliative care—but, judging from that pitying look, none much more cheerful. Hilary stepped in, pushed “seven,” and rose above the first several floors of long-term residents, who were not yet quite ready for the seventh floor. They were being stored here until then. Her stomach lurched. The movement of the lift. The air here different, but no better, than downstairs. Death. Death and lotion. She steeled herself for the reunion. Before today, it had been nine years since she saw him. Before that encounter, sixteen more. Her lifelong friend, Izzie, had convinced Hilary that the only thing to do now was to say everything that she needed to say. Get if off her chest. For her own sake. A cleansing ritual. Just outside of his room, suddenly it seemed a vulgar breech of privacy simply to walk in. He was no more than a stranger, really, someone she’d known so long ago, no longer shared anything beyond genetics. No common ground. Did they ever, really? Technically, that long-ago home was common ground, but not in any real sense. They both simply existed there. These days, visits back home with her sisters were actually fun. They would talk way into the wee hours, reliving old adventures and pseudo-traumas, never probing the deep wounds, about which she seldom thought and never talked. No, the sisters’ stories were now exchanged like a sort of familial currency. Escapades that resulted in chipped teeth being trumped by suspensions. The true and seemingly everlasting suffering was never mentioned. It made for poor conversation, and couldn’t morph into frivolity. That was the real stuff, that stayed with you right into adulthood, hanging tough, right through the forging of new key moments. But the time had come to air those grievances, to avenge their very existence. To stop bearing this weight alone. To unload it onto the man who should really have to carry it. Hilary’s eyes took a moment to adjust to the darkened room. Homey, or the best they could come to it. A loveseat. A recliner. Even a patchwork quilt. But the privacy curtain, pulled back now, betrayed that this was no more than a hospital room dressed up in its Sunday best. The bed. The table that cranked up and down. Kidney dish. Beige melamine water pitcher, whose contents Hilary viewed with suspicion, as if surely tainted. She allowed her gaze to settle onto her father, finally. Her father. By technicality only. This old, worn-out, shrunken vestige of a man—the one in this bed—wasn’t her father. Not really. Her father was tall. Intimidating. Menacing. His smile was shiny and bright, but his words were sharp and toxic. So well respected in the community, yet so feared and despised in his own house. Hilary wanted to throw down every wretched memory. Make him accountable. She was tired of this being her burden for so long; his time had come. For once, she would have the power. But this man... Man? This creature was no more a man than ... what? A newborn. Taking everything in, Hilary realized that going out looked very much like coming in. He was frail, impotent, dependent. His skin was wrinkled. He was toothless. He wouldn’t like that. But he didn’t know. He was unaware. This was not her father. Not really. A tempest of emotional turbulence battered her—thoughts, feelings, flashbacks. In its wake, Hilary’s anger and resentment seemed to swirl around and out, gone who knows where. It was pushed out by pity, and strangely, an epiphany of sorts. Some kind of crude, primal understanding. He was only a man. A mortal. Flawed. Like the rest of us. Looking at him now, Hilary was keenly aware of the reversal—he was helpless, at her mercy. All of the emotional sludge, that had infected her very soul for so long, simply washed away. Silently, she slipped away. Unseen. 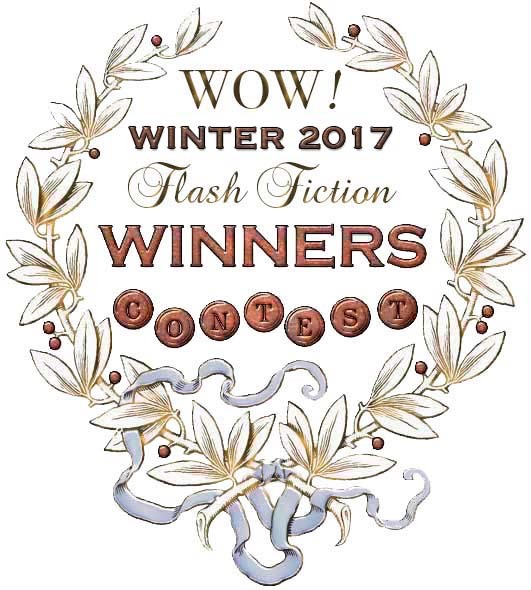 This brings the Winter 2017 Flash Fiction Contest officially to a close. Although we’re not able to send a special prize to every contestant, we will always give our heartfelt thanks for your participation and contribution, and for your part in making WOW! all that it can be. Each one of you has found the courage to enter, and that is a remarkable accomplishment in itself. We’re looking forward to receiving your entries for our next contest. Best of luck, and write on!